The BMW i8 stands out with its futuristic lines, sporty interior and a highly advanced drivetrain. While its design is near perfection, there are always subtle things that can improve its looks, one of them is a new pair of custom wheels. 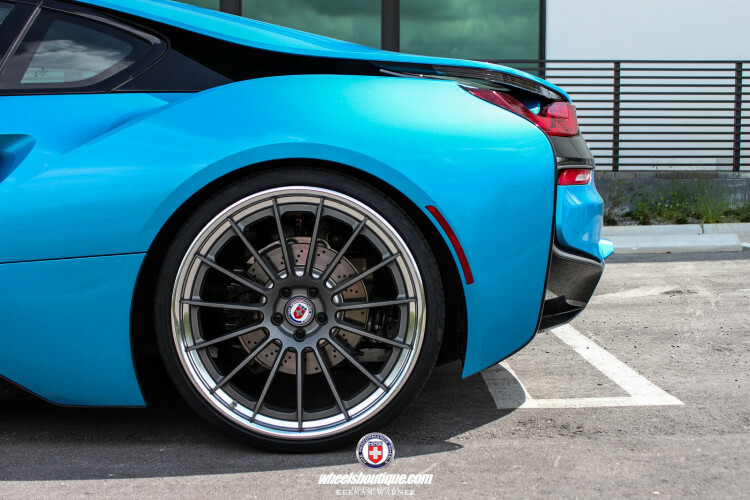 HRE Performance Wheels, one of the best in the wheels business, have applied their experience in the motorsport, racing applications and street cars to create a wheel line for the BMW i8. The wheels installed on the hybrid sportscar are the HRE RS103 line. 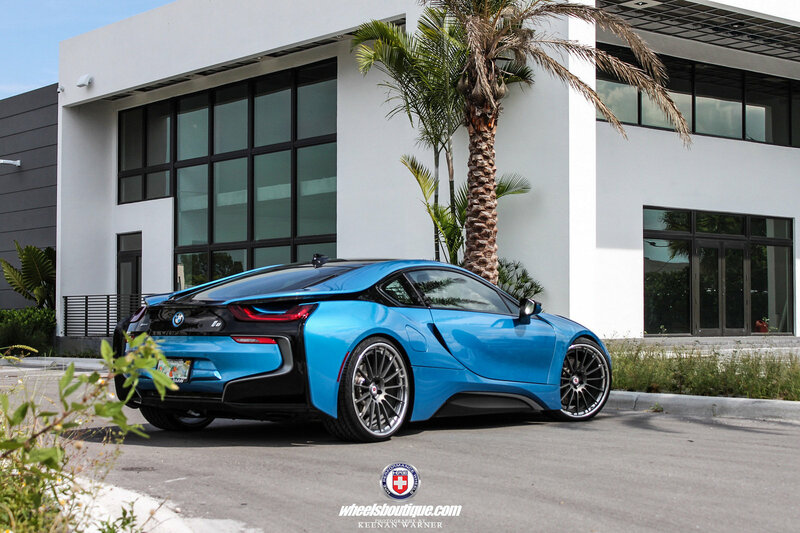 Featuring a multispoke, the custom wheels add a classy look to the sportiness of the i8’s design, thanks to its black spokes matched with the silver color of the wheel. The BMW i8 uses a plug-in hybrid system consisting of a turbocharged three-cylinder BMW TwinPower Turbo petrol engine and BMW eDrive technology in the form of an electric drive system. 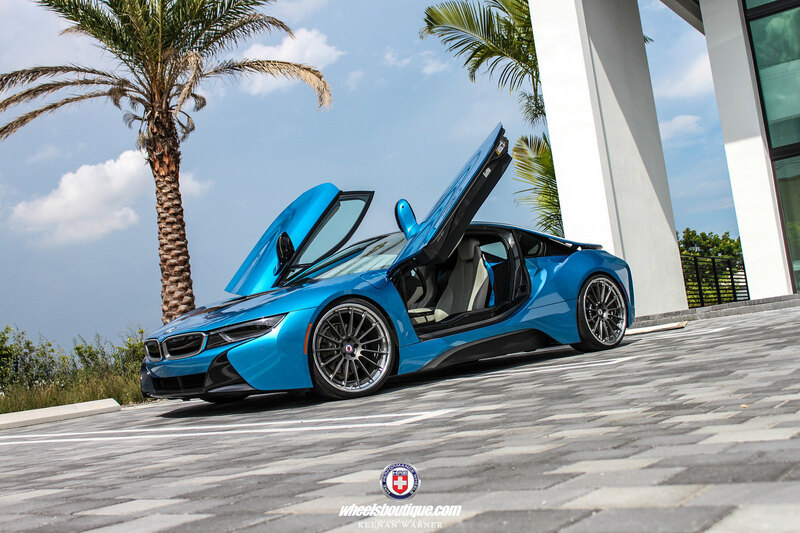 The 1.5-liter combustion engine develops 170 kW/231 hp and drives the rear wheels of the BMW i8, while the 96 kW/131 hp electric drive sends its power to the front wheels and allows an all-electric range of up to 35 kilometers (22 miles) and a top speed of 120 km/h (75 mph). The powertrain allows the BMW i8 to sprint from 0-62mph (0-100km/h) in in 4.8 seconds and has an electronically limited top speed of 260 km/h (160 mph). 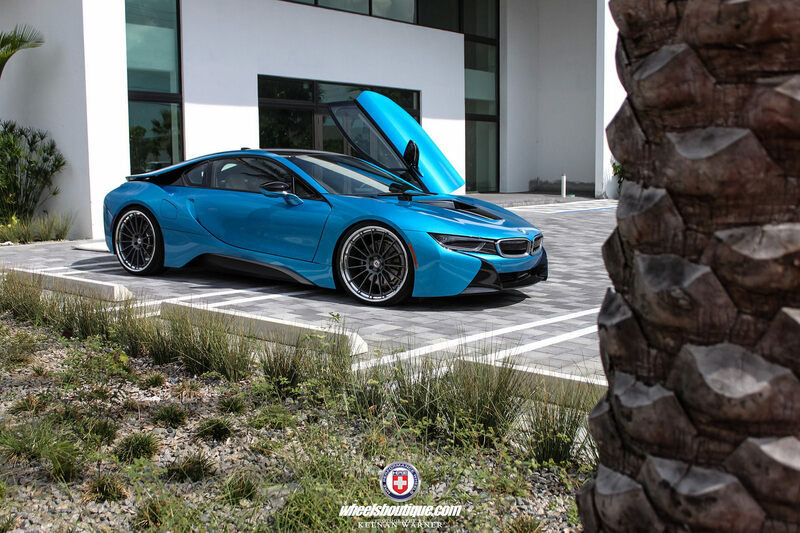 The full photoshoot of this BMW i8 build done by Wheels Boutique can be found in the media gallery below. Previous post Does BMW’s sales increase hurt its brand image?